The statistic shows the total primary energy consumption in the United States between 1995 and 2018. 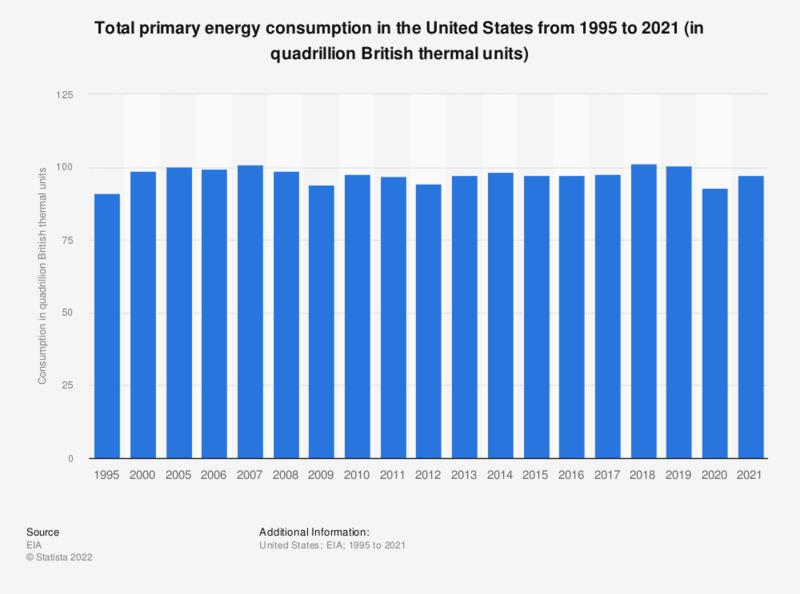 The United States consumed approximately 101.3 quadrillion British thermal units of primary energy in 2018. Includes coal coke net imports and electricity net imports, which are not displayed separately.